CPJ field have always been at the forefront of the funeral sector, often leading the way for how funeral practices should develop alongside the needs and demands of society. Throughout all transitions, tradition, history and steadfast values remain central to the operation of our tenth-generation family business. In today’s blogs post we are going to venture a lot further back than our 328-year history and explore the funeral practices of ancient societies across the globe. 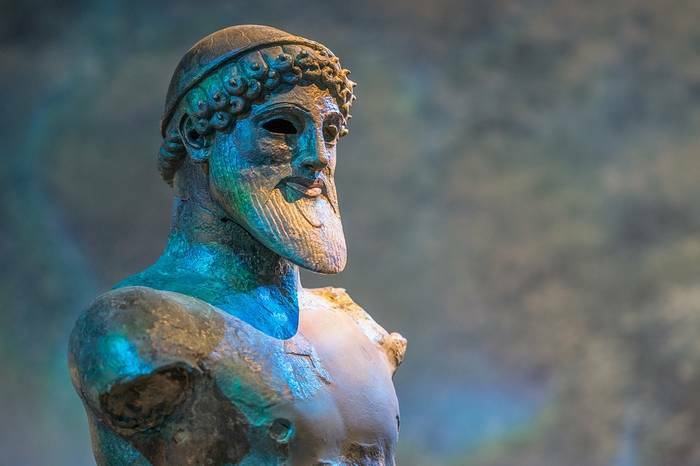 Before the Romans first headed to the shores of Britannia in around 55 BC, our nation was made up of small societies that roamed the wooded land hunting and creating settlements. While we know very little about these hunter-gatherers due to the lack of historical writings, we do know quite a bit about the funeral practice. The life expectancy was low for these civilisations and the dangers were vast and it was not uncommon for many members of the group to lose their lives at once. 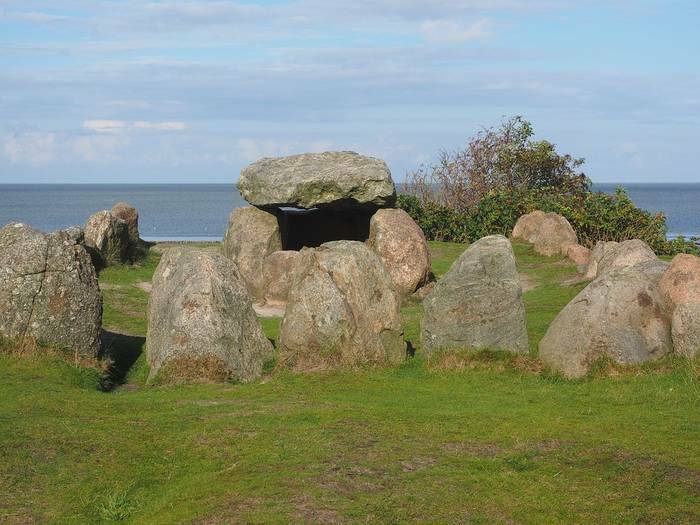 In the stone age, large stone tombs would be erected to house the bodies of the dead. However, during this period the bones of the deceased person would be left on the ground within the tombs and not buried within the earth. These funerals changed during the dawn of the bronze age as the people of the time became skilled workers and craftsmen. Those who died would be buried with gifts of jewellery or weapons that would signify their individuality; some theorise that the burial started to prevent the theft of such items. This civilisation would also cremate their dead on occasion and place the remains into finely crafted pots which would then be buried. Burial mounds and barrows become increasingly popular during this period, and these mounds of earth would sometimes be decorated, becoming ever-present shrines for those who were lost. When the Romans arrived, they brought with them their own set of beliefs in regards to how they dealt with death. Romans held large processions for their dead, with parades of music and performers following the body as it was carried toward the funeral pyre. Loud music from varying instruments was a signifier of wealth or importance, and we also first see the use of professional mourners. Women would be paid to walk alongside the dead, often wailing, pulling out their hair or marking their faces. Actors would sometimes be bought in to re-enact moments from the deceased life or tell stories of their ancestors. In Ancient Rome, the bodies of the deceased were usually cremated and much like the Neolithic people of Britannica, interned in clay pots which would then be buried. It was believed that until this had taken place the spirit of the deceased could not cross the River Styx. The River Styx, while part of Roman mythology is something that most of us would attribute to the ancient Greeks. Greeks believed that when people died, the spirit would leave the body in a short puff of breath. It was imperative that preparing the body for burial did not commence until the spirit had left the body, so that the person who had died could successfully cross over to the afterlife, though the afterlife was not always seen as a paradise and the fear of Hades was very real to those in the realm of the living. When a person died, the Ancient Greeks prepared them for burial in three stages; Prothesis, Ekphora and Perideipnon. Prothesis was the washing of the body with water and oil before it was clothed and laid in their familial home with the feet facing the door. Gold coins were placed on their eyes as payment to the ferryman on the River Styx. Ekphora was the carrying of the deceased person’s body to the cemetery late into the night while, much like the Romans, professional mourners followed. The burial or cremation would then take place, and the place where they were buried would be decorated with marble statues, a sign that they would never be forgotten. Then came Peridepinon, those in attendance would return to the home of the deceased person for a ‘funeral party’. Following on from this, on the third, ninth and thirteenth day after the funeral, offerings of cakes and jewellery would be presented at the grave to help for an easy transition into the afterlife. 11,000 KM away and 3000 years earlier the Maya civilisation had their own set of unique funeral practices. In Mayan culture, those who died were often buried at their home or on the areas of land where they worked. A proper Mayan burial is a two-fold process; the initial burial would take place soon after death, but years later the body would be exhumed and the bones would be cleaned before being placed back into the grave. Researchers have found that the Maya would bury their deceased with a variety of items such as small concave mirrors. The most common item was a burial mask that potentially signified a new identity for the person in death. In some cases, archaeologists have found Mayan graves containing the remains of two people, the second body that of a willing sacrifice who would become a companion of the other in their journey to the life after death. The afterlife and beliefs in a realm beyond the living have been shared by many cultures and continue to this day. One civilization most known for its belief in a complex life after death was the Ancient Egyptians. The ancient Egyptian civilisation existed for almost 3000 years and their culture continues to confound and fascinate us to this day. The Egyptians believed that they would live a new life after death, and as such, they need their bodies well looked after; Mummification was practiced to achieve this. Mummification is a lengthy and complicated medical procedure which would be carried out over 70 days by a high priest who would wear the mask of Anubis. All organs except for the heart were removed from the body and dried before being placed in individual canopic jars. The heart remained as the Egyptians believe this is where their emotions and intelligence lived. The bodies were then wrapped and placed inside large coffins called sarcophagus. Before the burial of the sarcophagus, it was drawn along by Oxen to the river Nile with hired mourners, and dancers walking alongside. Two priestesses would be amongst the procession to act as the goddesses Isis and Nephthys, known throughout the Egyptian religion as chief mourners. Once at the river, a boat was boarded to cross the river toward the burial site. Once they had arrived the sarcophagus was positioned upright and the priest would lead all in attendance in chants and prayers that would help the body of the deceased person pass to the afterlife. Because the mummification process was expensive, only those with wealth were able to be buried in tombs along with their worldly possessions to be further enjoyed when they were received by Osiris in the next life. Poorer members of the society would have their coffin buried in sand and their possessions often sold by their family to pay for the entire process. The most elaborate tombs were reserved for the Pharaohs and were located within the Pyramids. The tombs would consist of a large ceremonial space with a smaller adjoining room reserved for statues of the deceased along with some of their riches. The walls of these tombs would be decorated with intricate paintings detailing the life and accomplishments of the now deceased ruler. 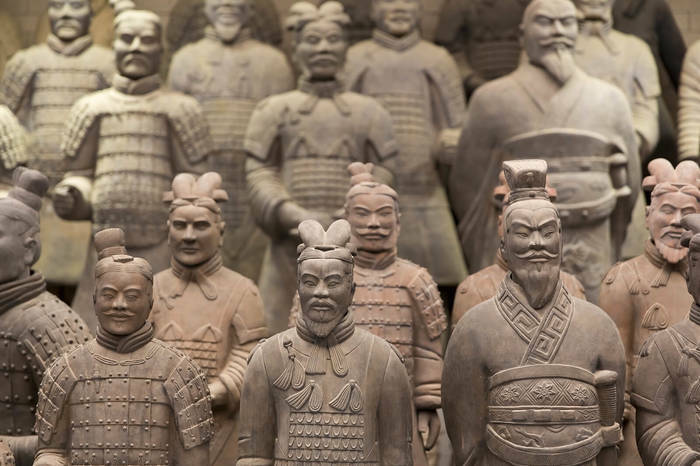 The discovery of the terracotta army at the tomb of the first Chinese emperor Qin Shi Huang in 1974 revealed that the funerals of Ancient Chinese rulers could rival that of Ancient Egypt. It was clear that worldly possessions meant a lot and the terracotta statues were a signifier of great power and excessive luxury. Funeral customs in Ancient China like so many cultures, focussed on the afterlife, but with the belief that those who die do not pass on to another place but still exist as part of this world. When a person passed away, a white ribbon would be placed outside their home to signify a death had occurred. White would also be worn by the immediate family during the mourning period, and it was expected that nobody visiting the family wore red or yellow. The body would be dressed in ceremonial robes and placed inside a coffin. It was believed that only the young could pay respects to those more senior than them, so if a young person passed away, only younger members of the family would carry out the funeral rituals. Each year the Ancient Chinese civilisation would remember those who had passed at the Qing Ming Festival, which still happens to this day.